The increasing trend of digital applications in the print finishing industry drove the development of the Double Kote Digital. 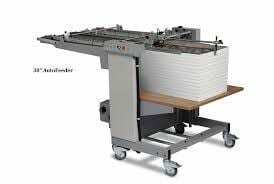 This two sided laminating system has been upgraded with operator-friendly features that make setup and operation quick and easy. Labor-free automation with feeding, laminating and trimming at the touch of a button! 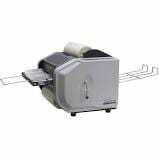 The ALM3220 Laminator is a revolutionary automatic “green button” document laminating system offering virtually unattended operation. Developed to meet the requirements of digital page printers and the on-demand printing market, the ALM 3220 laminator takes the guesswork out of the lamination process by eliminating conventional setup requirements. Operator skill and training requirements are minimal. At the touch of the Start button, the laminator will automatically feed, process and re-stack up to 200 sheets in one batch. 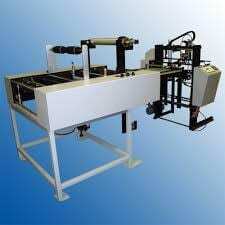 It is capable of producing both flush cut and sealed edge encapsulation to tolerances of +/-0.05 inches. 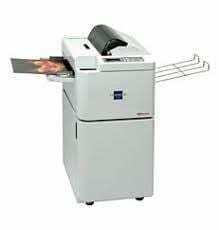 The ALM3220 can adjust to different size documents up to 12” x 18” and can set to trim with or without a margin. The Automatic Cutter was designed as a componentt of LEDCO’s High Speed System, but can also be used with other manufacturers’ equipment. 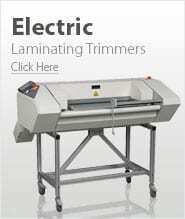 A fi ber optic sensor precisely activates the shearing blade on the leading and trailing edges of each sheet. Engineered as an integral part of LEDCO’s High Speed Systems, the automatic feeder provides increased production over hand-feeding in high volume production runs. 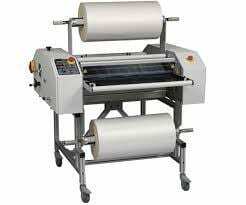 This is an ideal machine for any graphics or fi nishing shop that needs a true commercial machine. 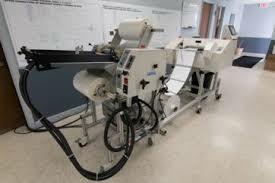 The HD-25 has an optional power feed tray that allows for automation of feeding. The Workhorse has intelligent heat controls, silicone rubber coated laminating and pull rollers, built-in retractable slitters, dual tension knobs (clutches), forced air cooling, safety guard, standard precision feed tray, and easy access controls. The HS-30 has all of the best features of the HD-25 plus a more powerful motor, larger heat shoes, and a high performance cooling system. 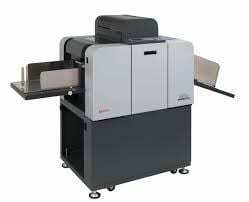 Achieves speeds of 65 FPM at a fraction of the cost of comparable production models. Intelligent heat controllers display both the set temperature and the actual temperature. Microprocessor controls anticipate the heat demand of each job and keeps the actua temperature within a few degrees of the set temperature.